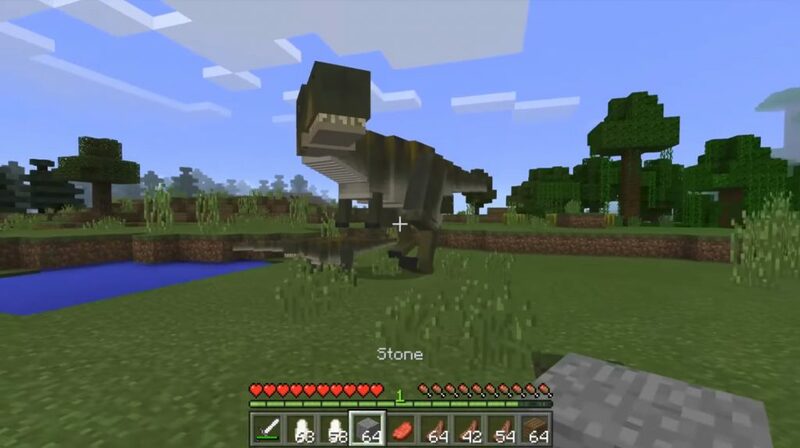 The main idea of ​​the Dino mod is to add of the Dinosaurs to the world of Minecraft Pocket Edition. 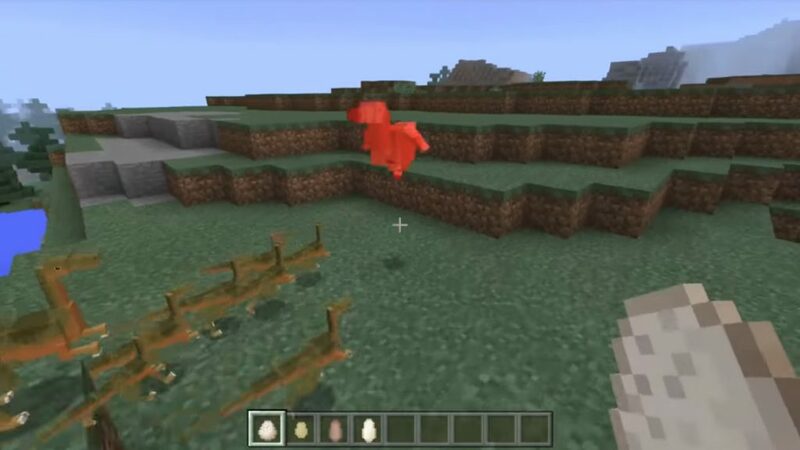 Currently, the mod is at an early stage of development, and it currently supports only one Dinosaur. He can not do anything except look cold-blooded. 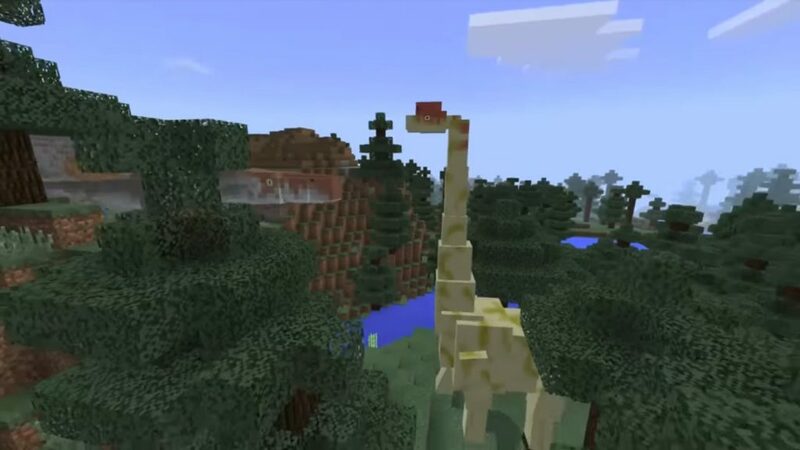 In the future, dinosaurs are likely to be able to navigate the world of Minecraft PE. You can also feed them so that they grow up big dinosaurs. Currently, there is only one kind of dinosaur that you can spawn. Tyrannosaurus, commonly known as T-Rex. In the future, more dinosaurs will be available. For example, in the next version, Spinozaurus will be added. Dinosaur T-Rex is very small at the first spawn. Since the mod is at an early stage of development, you still can not feed the dinosaurs so that they grow. In the future, a dinosaur can be fed, but it will grow only to ensure that the game was a huge beautiful Dinosaurs, which will decorate the world with its great appearance. If necessary, we advise you to use the TMI (TooManyItems) mod to get the necessary items and other items. Dino Food [ID: 467] – no crafting recipe, use Too Many Items. Download as necessary BlockLauncher Pro. We go to the settings BlockLauncher Pro. Choose from the appeared menu [ModPE Script]. In the [import script from] menu, select [phone memory]. We go in the folder where the mod was saved. Choose from the [Settings BL] menu that appears. We put Texture Pack [On]. In the opened window, click [Import]. We go to the folder with the downloaded texture-pack, in the format (.zip).